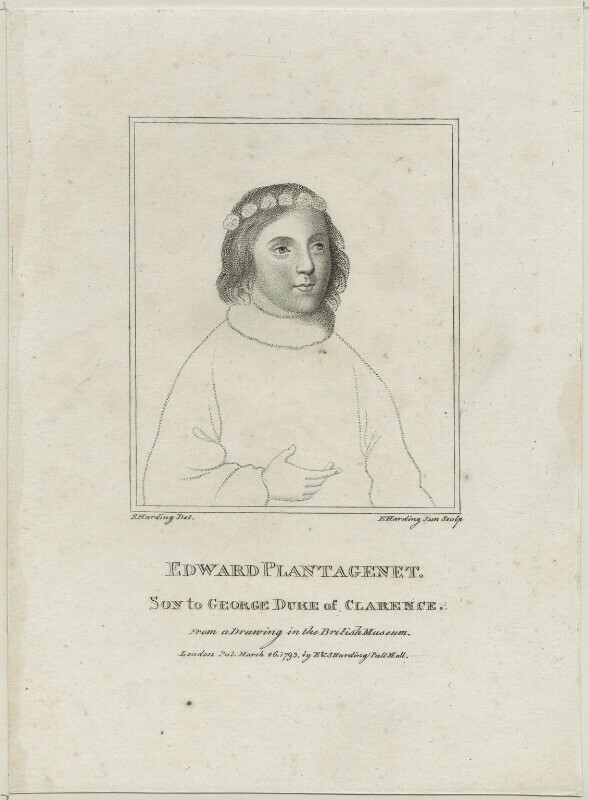 Edward Plantagenet, 17th Earl of Warwick (1475-1499), Potential claimant to the English throne; son of George, Duke of Clarence. Sitter in 2 portraits. Edward Harding (1755-1840), Engraver, publisher and librarian to Queen Charlotte. Artist associated with 186 portraits, Sitter in 1 portrait. E. & S. Harding (active 1786-before 1798), Publishers. Artist associated with 92 portraits. Silvester (Sylvester) Harding (1745-1809), Artist; publisher. Artist associated with 218 portraits. Whig MP Charles Grey enters a motion for parliamentary reform but is defeated in the House of Commons. Radical philosopher William Godwin publishes Political Justice, an inflamatory document that promoted rational anarchism. This crystallised a wider feeling that a new era of world peace and progress was beginning. Sir William Beechey is appointed Portrait Painter to her Majesty, Queen Charlotte. Louis XVI and Marie-Antoinette are executed and the Reign of Terror begins. France declares war on Britain, Holland and then Spain. William Pitt addresses the House of Commons and Britain hesitantly joins the first coalition of anti-revolutionary European states to oppose the French threat. Attack on Corsica in which Captain Horatio Nelson loses an eye.